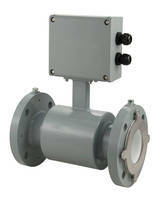 Smart Valve Positioners provide actionable information. Compatible with most pneumatically actuated valves, Research ControlÂ® SRD 960 and SRD 961 are explosion proof and intrinsically safe digital valve positioners, respectively. Optional base model, SRI 990, provides analog valve control. SRD models include comprehensive valve diagnostics tool, which continuously monitors for fugitive emissions due to leaks and other unintended/irregular releases of gases to help process plants meet ANSI/FCI 91-1 standard and comply with EPA emissions guidelines. MILWAUKEE, Wis. – Badger Meter (NYSE-BMI) today announced the introduction of the Research Control® SRD series of smart valve positioners, which deliver robust, actionable diagnostic information about valve performance and help process industry facilities comply with recent fugitive emissions regulations. 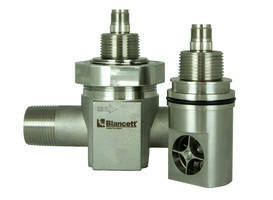 Badger Meter also released the Research Control SRI series of analog valve positioners. The SRD 960 (explosion-proof) and SRD 991 (intrinsically safe) digital valve positioners provide economical and user-friendly solutions for industries such as chemical, petrochemical, water and wastewater, oil and gas, food and beverage, and pharmaceutical. 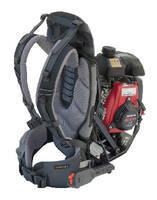 An optional base model, the SRI 990, provides analog valve control with fast control behavior. The positioner’s control boards can be swapped out to upgrade from an SRI to an SRD. The SRD/SRI positioners are compatible with Research Control valves and most other pneumatically-actuated valves. The positioners are ideal for both new valve installations and retrofitting existing valves. The SRD/SRI can be used to reduce the adverse effects of on-line valve friction, enabling higher thrust and shorter positioning time. Optional limit switches can also be added to stroke or rotary actuators to serve as end positions. A key feature of the SRD is its comprehensive valve diagnostics tool, which continuously monitors for fugitive emissions due to leaks and other unintended or irregular releases of gases, to help process plants meet the ANSI/FCI 91-1 standard and comply with U.S. Environmental Protection Agency (EPA) emissions guidelines. By early detection of fugitive emissions via SRD's leak monitoring, process plants can immediately schedule maintenance to minimize potential air pollution from their facilities and avoid fines. The SRD provides real-time performance statistics and facilitates both proactive and reactive process management. The positioner supports methods for evaluation of valve health, operation and configuration. These capabilities, in turn, allow for predictive maintenance, intelligent alarm management, self-surveillance in accordance with NAMUR NE107 recommendations, and service management. The SRD valve diagnostic software is available as Device Type Manager (DTM) for integration into control systems based on Field Device Tool (FDT) technology. The positioner DTM enables the user to edit a complete "health" report on the valve with all data of configuration and diagnostics. In addition, the SRD is capable of controlling a partial stroke test that offers operators a tool to identify the trouble-free function of emergency shutdown valves. The positioner is suitable for safety applications up to Safety Integrity Level (SIL) 3. The SRD is available with different communication protocols, including analog setpoint (4 to 20 mA) without communication and with superimposed HART® signal, and digital with FOUNDATION™ fieldbus H1 or Profibus® PA communications to provide connectivity to supervisory control and data acquisition systems. Communication protocol options are field-installable and can easily be changed to a different available protocol option during a system retrofit. The positioner provides the same software connectivity whether it is connected locally or via the supported networks. The compact SRD/SRI series easily mounts to all linear and rotary actuators. Models are offered in IP66 and NEMA 4X enclosures, as well as an optional stainless steel housing, with ATEX and Factory Mutual (FM) approval for use in EEx flameproof and intrinsically safe environments. The SRD positioner features auto-start with self-calibration and can be operated from the local display, control systems, controllers, or PC-based configuration and operation tools. A multi-lingual, full text, graphical LCD display, in conjunction with push buttons, allows comfortable and easy local configuration and operation. The LCD display presents data in simple readable text and requires no external device or software to view alarms. 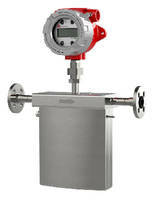 For more information about the Research Control SRD/SRI smart and analog valve positioners, please visit http://www.badgermeter.com/Industrial/Valve-Products/Valve-Positioners.htm. As an innovator in flow measurement and control products, Badger Meter serves water utilities, municipalities, and commercial and industrial customers worldwide. Measuring water, oil, chemicals and other fluids, Badger Meter products are known for accuracy, long-lasting durability, and for providing valuable and timely measurement data. For more information, visit www.badgermeter.com.